The produce aisle is the best place in the grocery store! It's filled with delicious fresh fruits and vegetables that are so good for you! The worst part about shopping the product aisle is using all those flimsy, plastic produce bags...one for each kind of produce, then getting home and throwing them all away because they aren't good for anything else. What a waste! 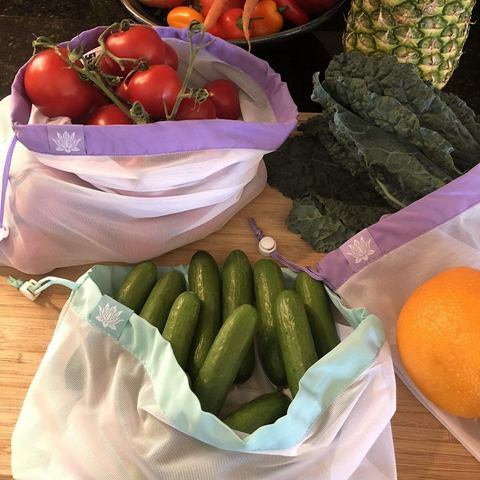 I LOVE Lotus Produce Bags...premium mesh reusable produce bags that are better for your food, better for the environment, and better for organization in your fridge. 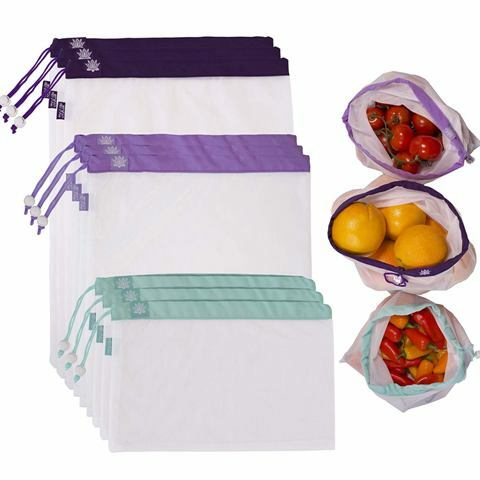 Lotus Produce Bags come in a set of nine bags in three sizes. They arrive in a stock paper box (not even plastic packaging!) 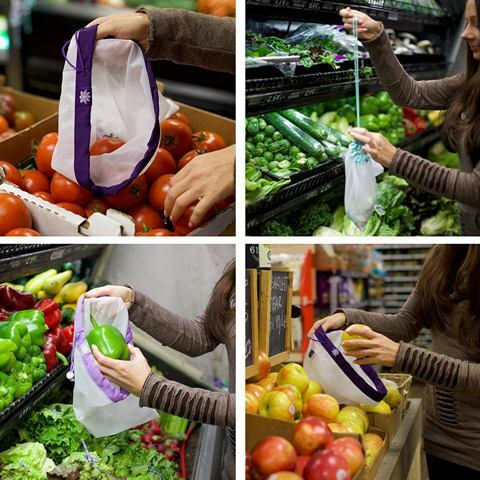 and Lotus Produce Bags are BPA free. Lotus Produce Bags are made of the finest materials and can be washed repeatedly. Just put them in the washing machine, the same way as your clothes, and then just air dry. Lotus Produce Bags are strong and durable, with double-stitching on the sides for increased strength and support. 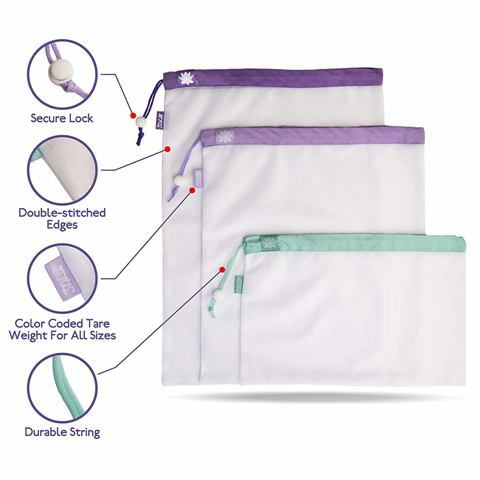 The drawstring is strong and comes with a secure white lock to keep contents secure. It is perfectly sized so it doesn’t get tangled when pulled tight. 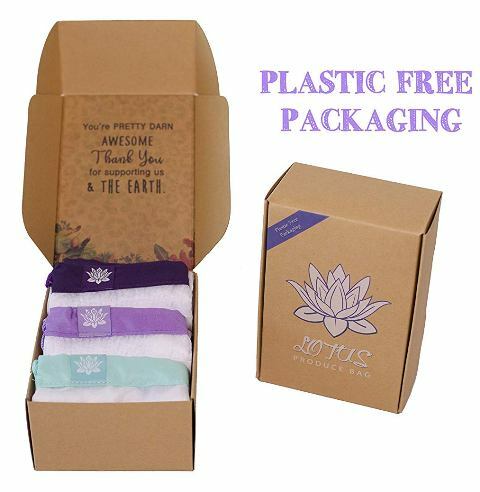 Lotus Produce bags are made by a family-owned company, and they are a "1% To The Planet" Member so a percentage of each sale will support a great charity. I've been using Lotus Produce Bags along with my Lotus Trolley Bag to make my shopping trips easier and faster for me, and better for the environment. I've also found that my produce stays fresher longer in Lotus Produce Bags when I store them in the bags in my refrigerator. The mesh fabric allows the fruits and vegetables to breathe just enough to keep air circulating, while keeping each product separate in a drawer full of produce. I highly recommend Lotus Produce Bags!